I find it useful to think of “vocation” as one of Western culture’s master plots for narrating or making sense of our lives. But we need to recognize that a narrative approach to vocational self-understanding—whether secular or religious—throws into stark relief the differences between the situation of faculty and staff, on the one hand, and the situation of the students with whom they work, on the other. It is much easier for faculty and staff to tell their stories than it is for students to imagine with any certainty the story that will, eventually, be theirs. And that uncertainty places obligations on educators as they help students discern where they want to go and, realistically, how the journey may actually play out. Most educators have already made significant choices about career or occupation. They already know what they have decided to do (at least for now); they may see their work as a calling, or as something else. Their narratives, then, are largely retrospective accounts; they draw on the vocational plot outline for structure, but they rely on memory to fill out the outline. Most students, on the other hand, are still in the process of figuring out what they want to do. Theirs is largely a prospective account. They are trying to decide—to imagine—what they are called to do (or at least fitted to do), how they might be able to match their talents and interests with the needs and opportunities offered by the world in which they live. They, too, may be working with some variant of the Western vocational plot, but they do not yet know—they can only imagine—the actual form the different elements will take in their own case. So vocation means something different for faculty and staff than what it means for college students, and imagination plays a different role for each group. Because faculty and staff have the luxury of looking backwards, they may find it easier to help students understand how tentative and uncertain even major life choices may be. But to do this, they need to acknowledge the ambiguity, uncertainty, and surprises within their own life stories. 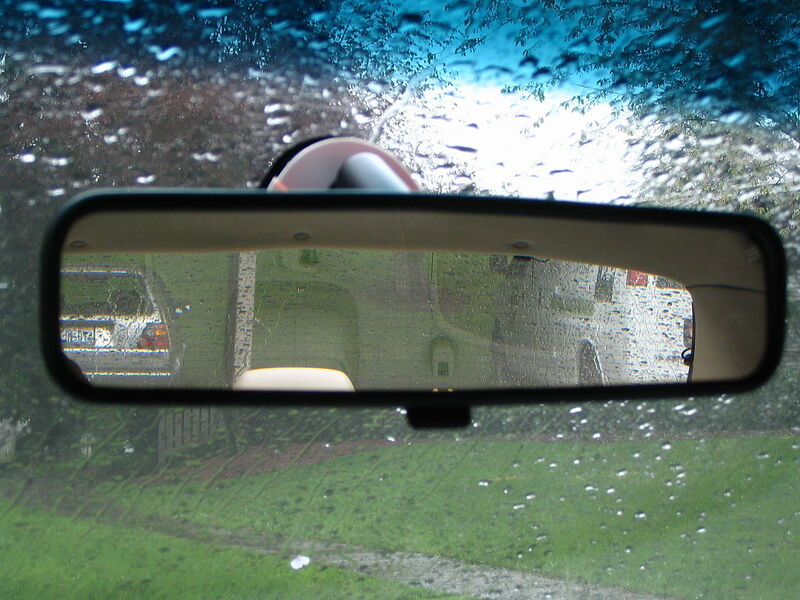 When looking back, most educators are likely be vague about some turning points in the narrative, doubtful at times about guiding convictions, aware of mixed motives, of several minds about the trajectory that one’s career eventually took, and perhaps even suspicious that memory—as well as the human desire for meaning—may be playing tricks on those who undertake such reflection. This does not make our sense of calling or that of others dishonest, but it does make it fallible and complicatedly human. And college students should not expect things to be much different for them. Educators need to remember that a sense of calling (including their own) may wax and wane and change over the course of years; it is seldom static, nor should it be. One’s sense of calling will almost certainly change as a person moves from one stage of life to the next—from, say, graduate student to working professional, or from child to parent. Our sense of calling may also change when economies crash or boom, or when love or disease or tragedy intervenes, or simply when a good boss is replaced by a tyrant or a boor. Others have written on the life-long process of vocational discernment, so I need only stress here that educators have the benefit of hindsight, which makes it obvious that a sense of calling can and does change with the passage of time and changes of circumstances. The responsibility of the teacher is to share that obviousness with those who currently lack the experience that would make it existentially obvious as well. Finally, facu lty and staff should make sure that students understand that it is possible, in Parker Palmer’s words, “to live a life other than one’s own.” Because they are usually older and more experienced than most of their undergraduate students, educators know that they can live out a life that answers more to the expectations of others than one that expresses their own sense of self. Similarly, they recognize the temptation of remaining true to abstract norms that dictate what one ought to do, while overlooking what actually can or should be done by the particular individual—with strengths and weaknesses, talents and deficits. To be sure, honesty about such things on the part of faculty and staff can be distressing to students, who often hope to discern once and for all and to simply know what they are called to do and be. But their teachers have lived long enough to know better, and owe it to their students to temper their vocational counsel with the wisdom of lived experience. See my Religion on Our Campuses: A Professor’s Guide to Communities, Conflicts, and Promising Conversations (Palgrave MacMillan, 2006). Others in this conversation have written at length about narrative identity and vocation (see, for example, chapters 5 and 7 of At This Time and In This Place: Vocation and Higher Education); I plan to say more about my approach to identity, narrative, and vocation in future posts. See, in particular, the forthcoming chapter by Catherine Fobes in the next volume of the NetVUE Scholarly Resources Project, forthcoming from Oxford University Press in 2017. 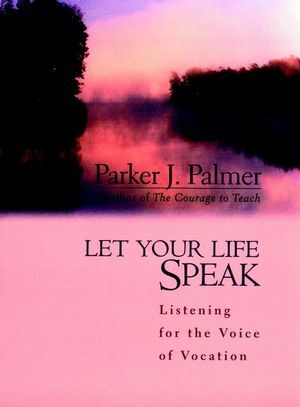 Parker Palmer, Let Your Life Speak: Listening for the Voice of Vocation (San Francisco: Jossey-Bass, 2000), 2. 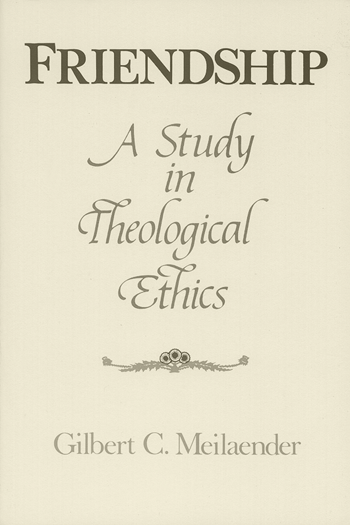 Frequently in Gilbert C. Meilaender, Friendship: A Study in Theological Ethics (Notre Dame, IN: University of Notre Dame Press, 1981), for example, 82, 94, 97.